The bomber jacket is a style that always sticks around and comes back in a new updated fabric or print and this AW is no exception! Buy into a statement bomber that will be sure to last you more than one season. 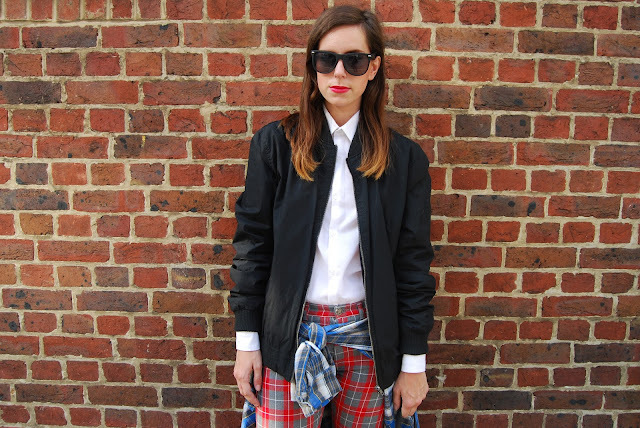 With the 'This Is England' dressing taking over the high street ready for next season- tartan print and bombers are key! Go for a black, khaki or tartan one to rock the trend and the good thing is they an be dressed up or down. Dress up with a crisp white shirt and dress down with a high waisted jean and boot. A black bomber is a staple piece and can instantly and that can instantly add that sporty cool feel to an outfit and make a change to your usual black leather. 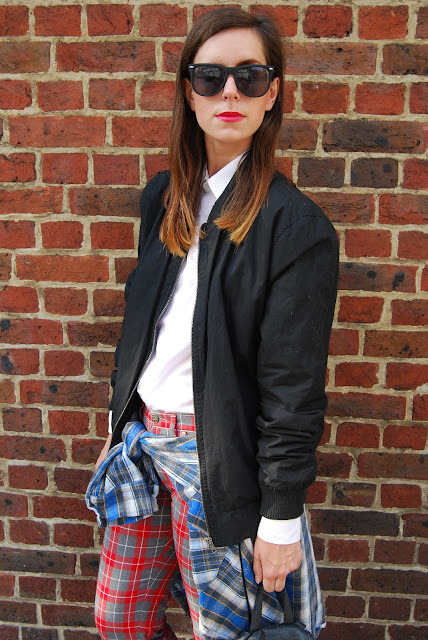 For this look I wore my boyfriends black bomber from Topman which is exactly the same as the Topshop one.. It may go missing from his wardrobe a lot this winter! I really enjoyed this look as it's edgy, masculine and tailored with a really premium feel. 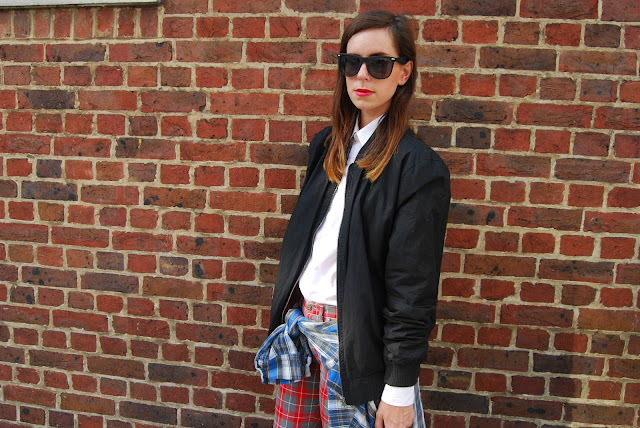 I went for a crisp white shirt underneath my bomber and amazing tartan trousers, I added a checked shirt round my waist. Accessorising with my black rucksack and clean rayban sunnies a simple look all about the tailoring, shape and of course tartan! I love this outfit! I really love your bag too, I've been looking for one like that for so long but they're always sold out everywhere I go! do you know if primark still have the bag? Thanks everyone for your lovely comments! 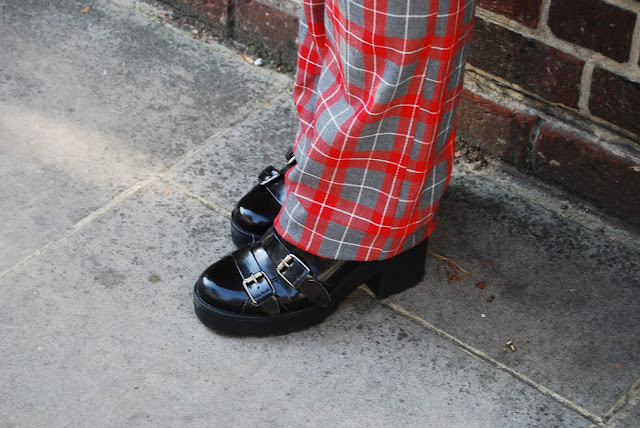 So excited for tartan overload for AW13!